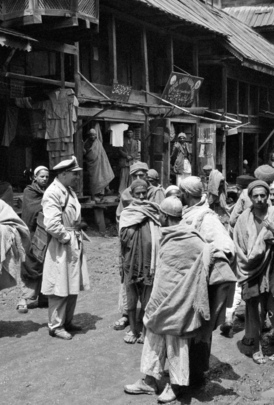 Major Emiliio Altieri (Uruguay), one of the members of the U.N. Military observer Group in India and Pakistan, talks with the inhabitants of a small mountain village in Kashmir. Seen in the background are the shops of the bazaar. 1955.